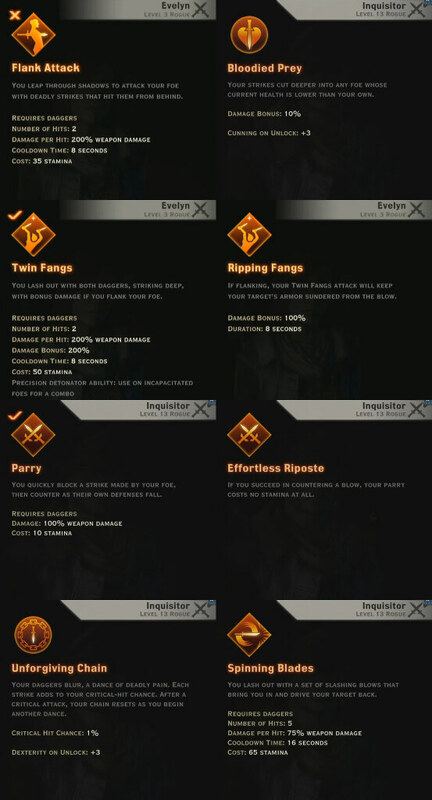 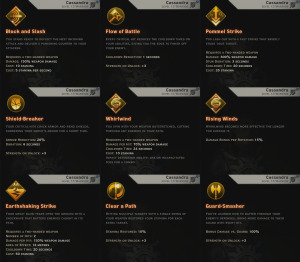 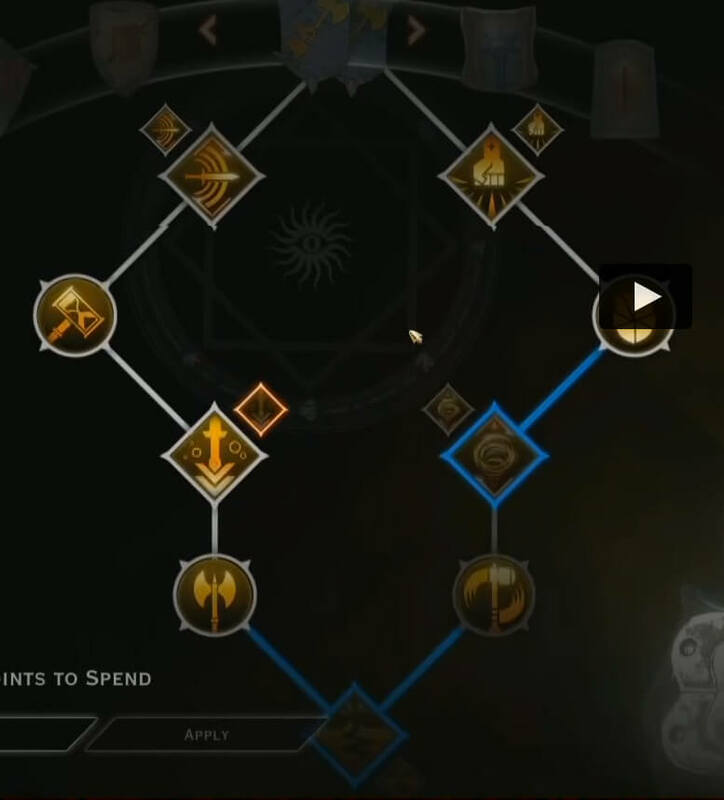 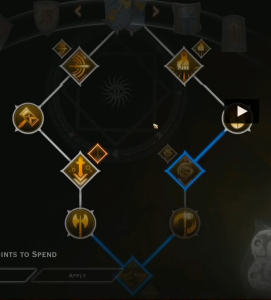 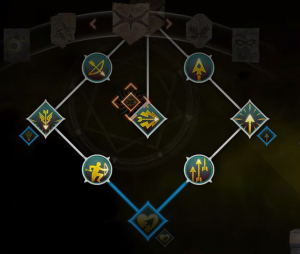 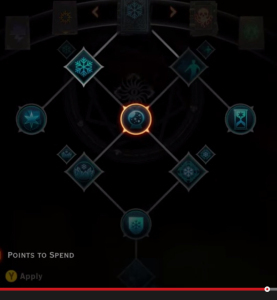 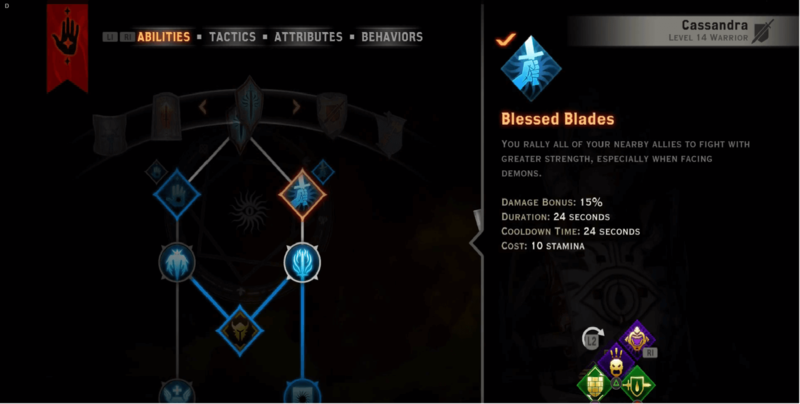 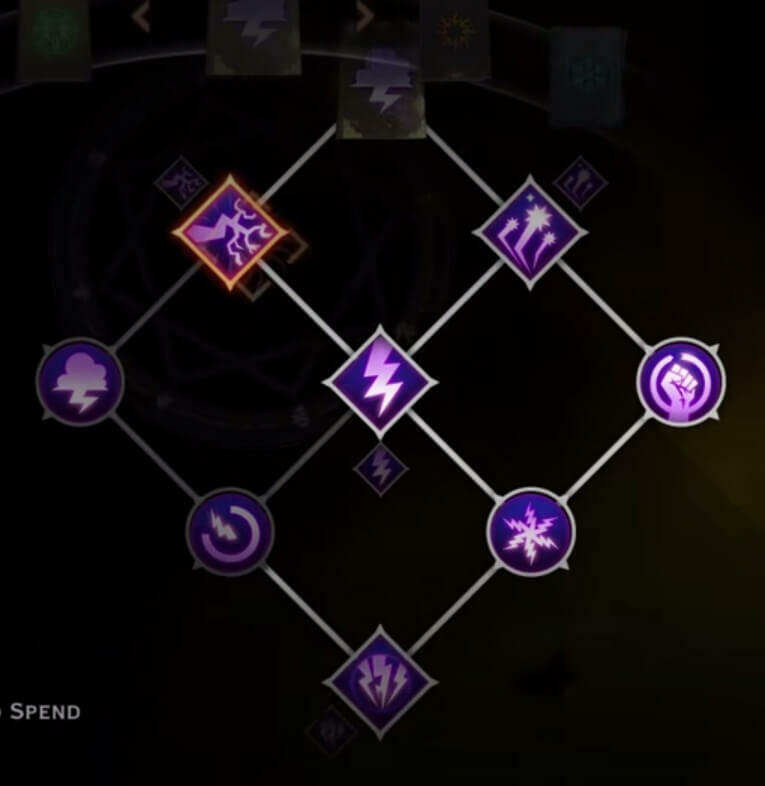 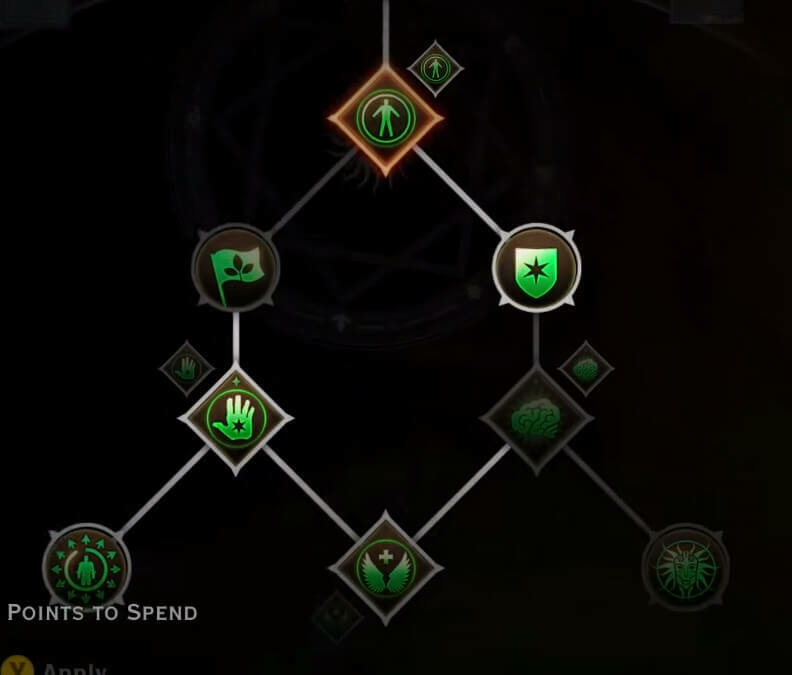 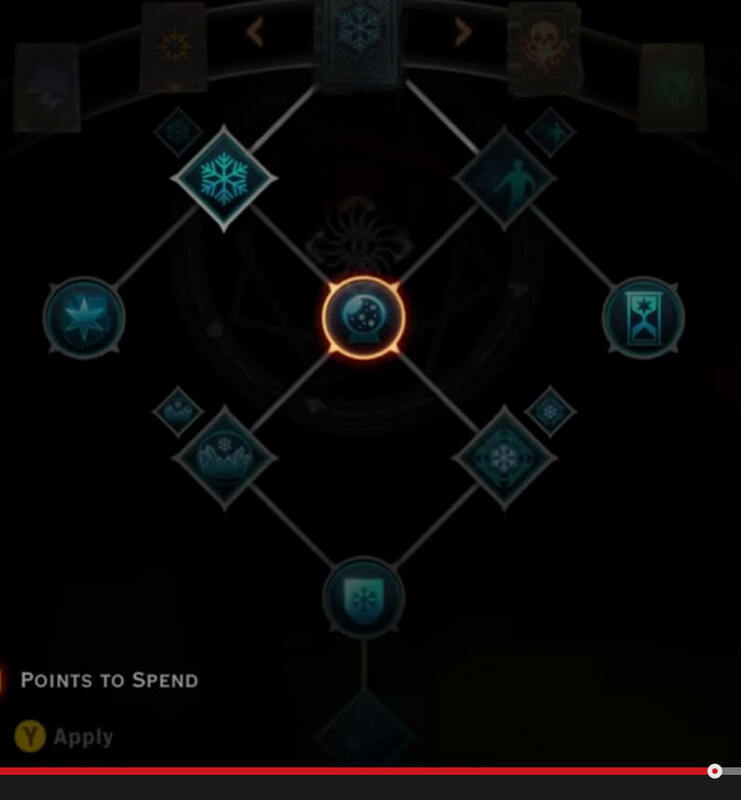 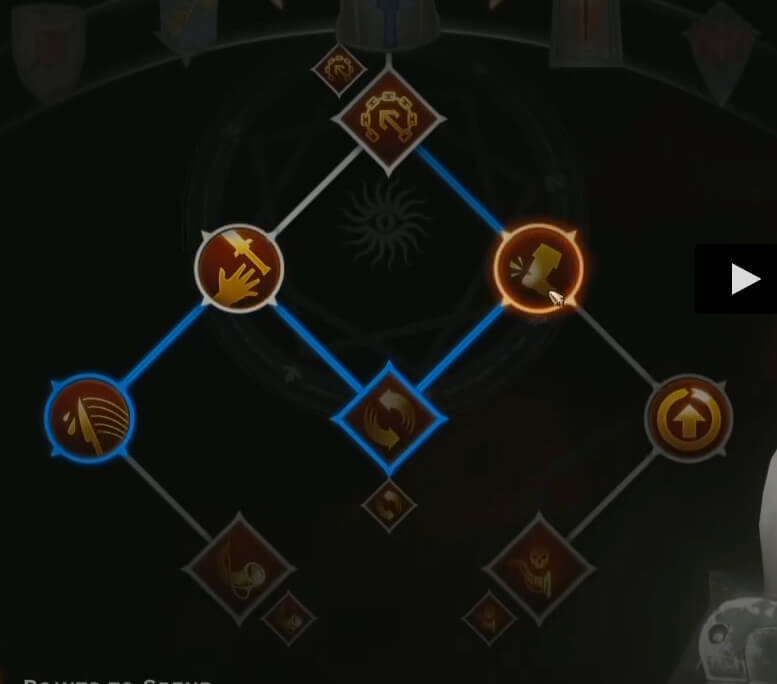 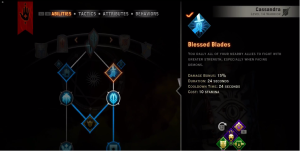 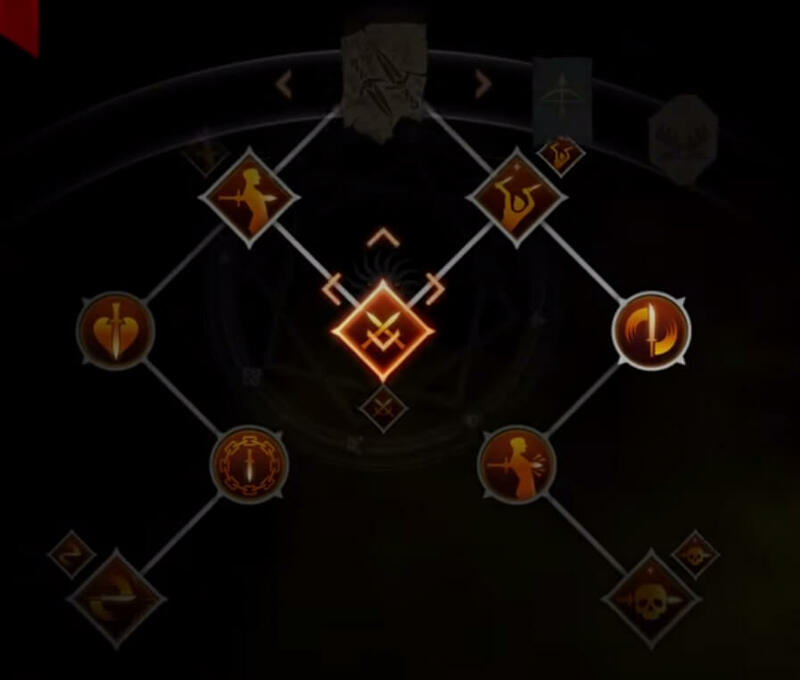 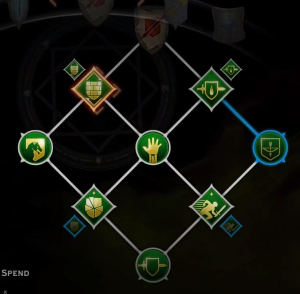 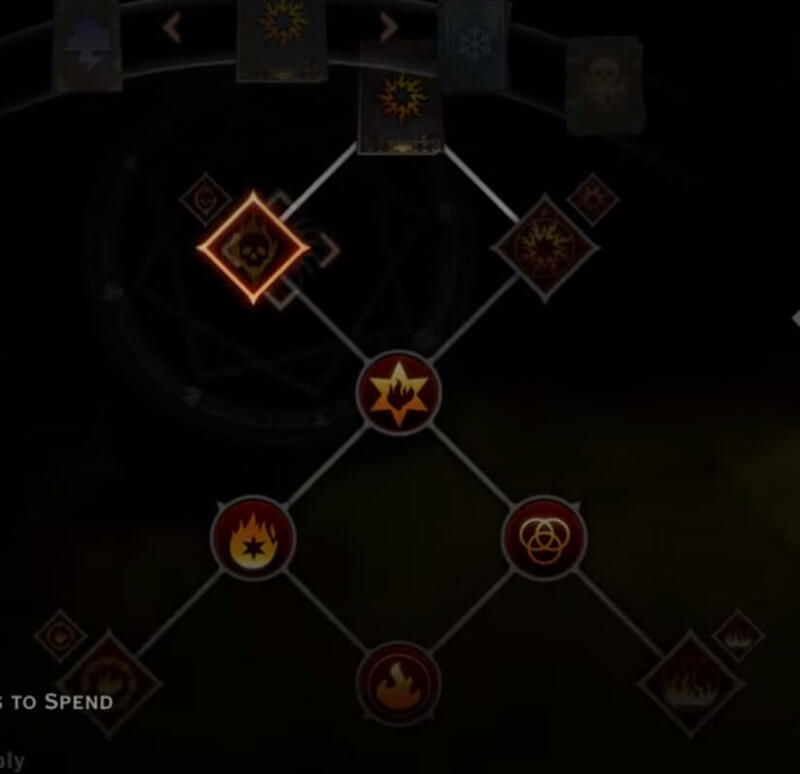 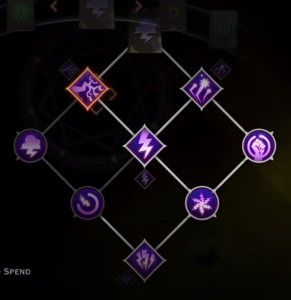 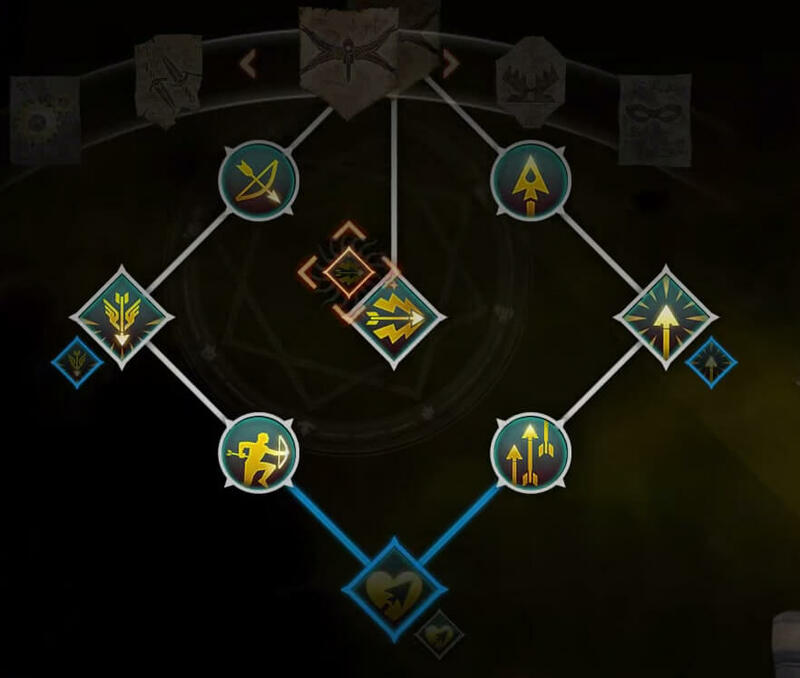 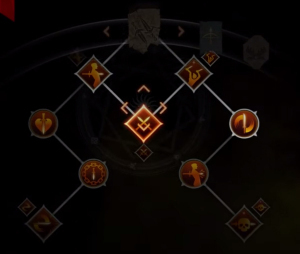 Every class has 4 main skill trees, and 3 additional specialization trees. 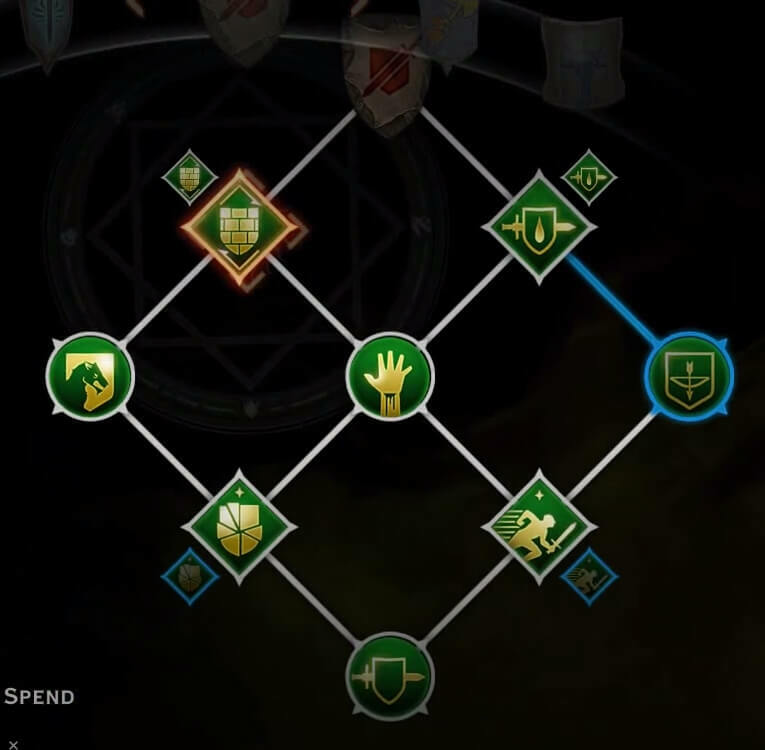 That’s a total of 7 trees per class, or 21 skill trees in total. 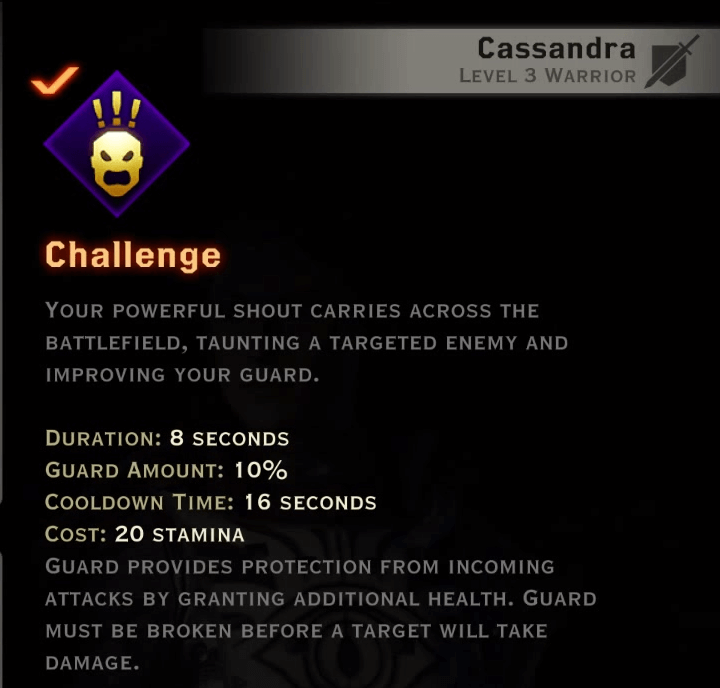 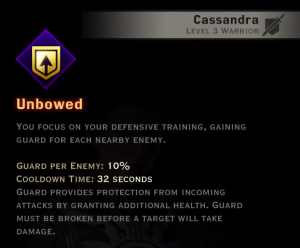 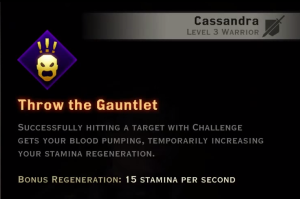 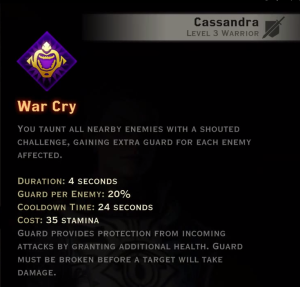 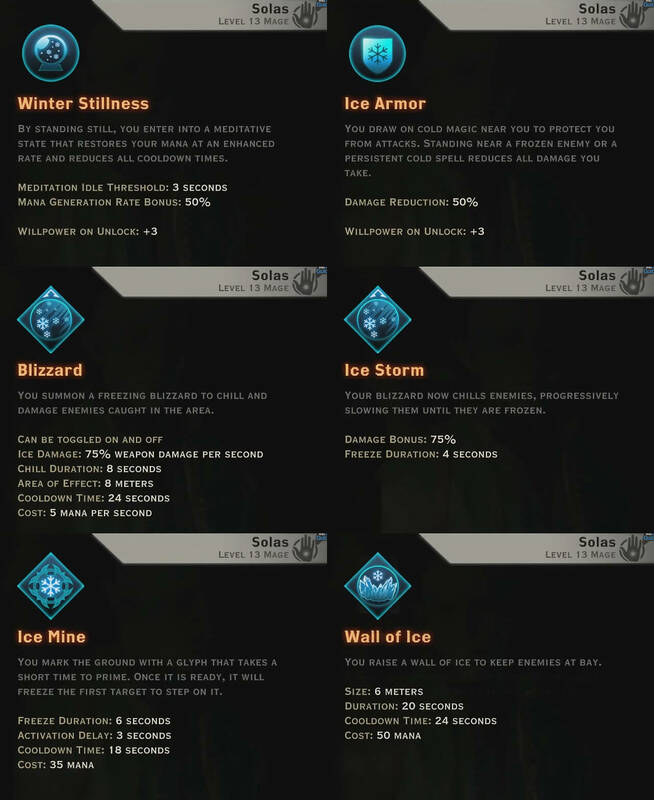 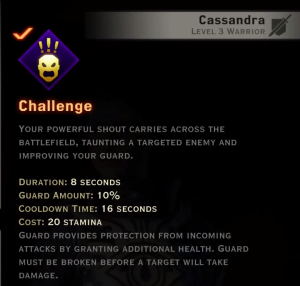 Bioware has showcased many returning skills from previous games (like Winter’s Grasp) , as well as brand-new skills, so we can expect a mix of the two. Having said that, the new skills are looking very promising, offering very strategic, intelligent use. 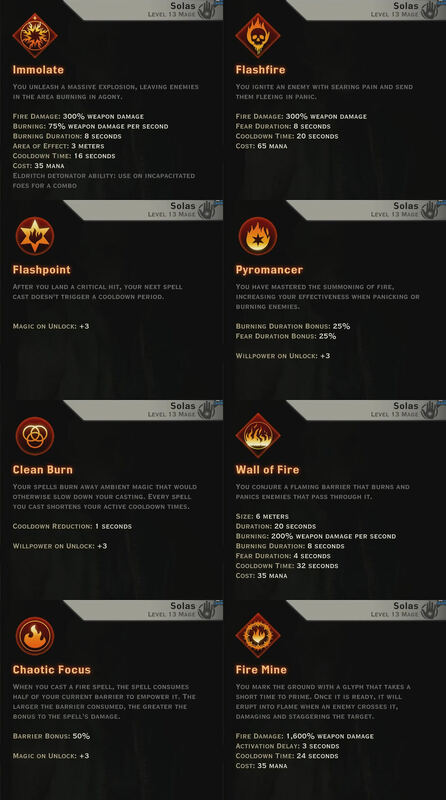 The mage skill trees are all focused on using a different element – Spirit, Storm, Inferno and Winter. 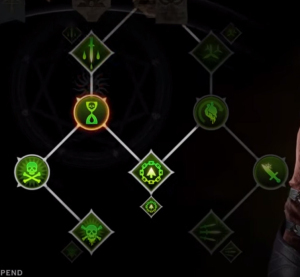 The storm tree focuses on various lightning-themed spells. 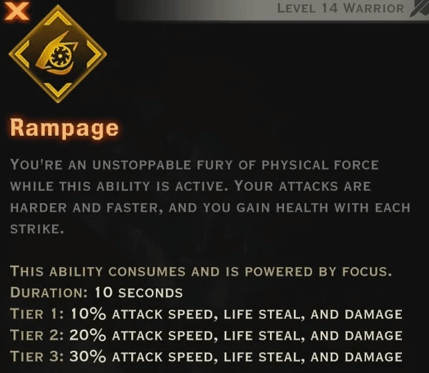 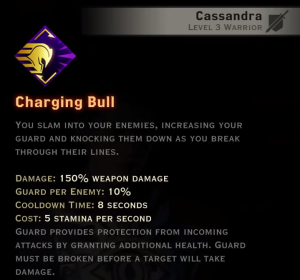 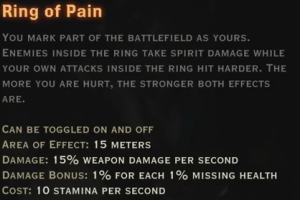 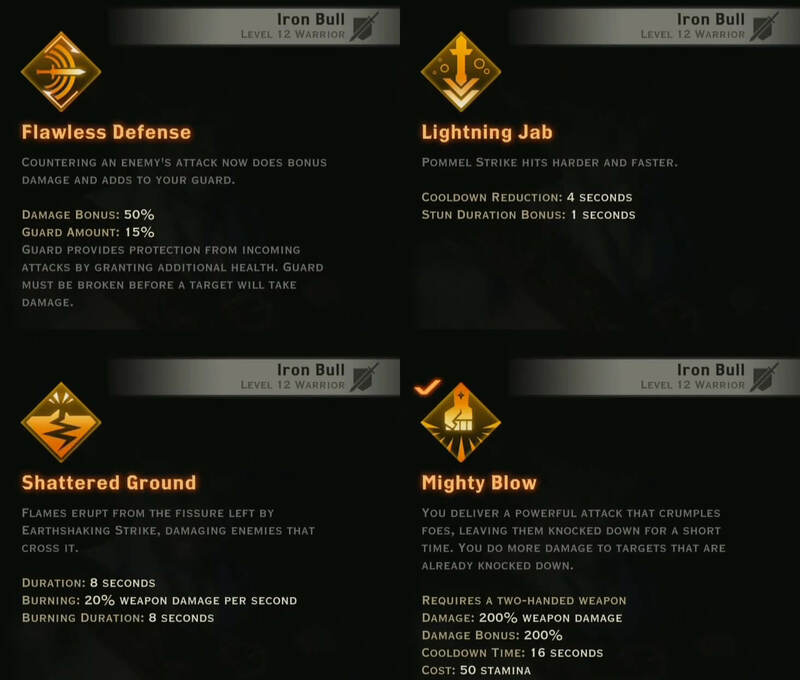 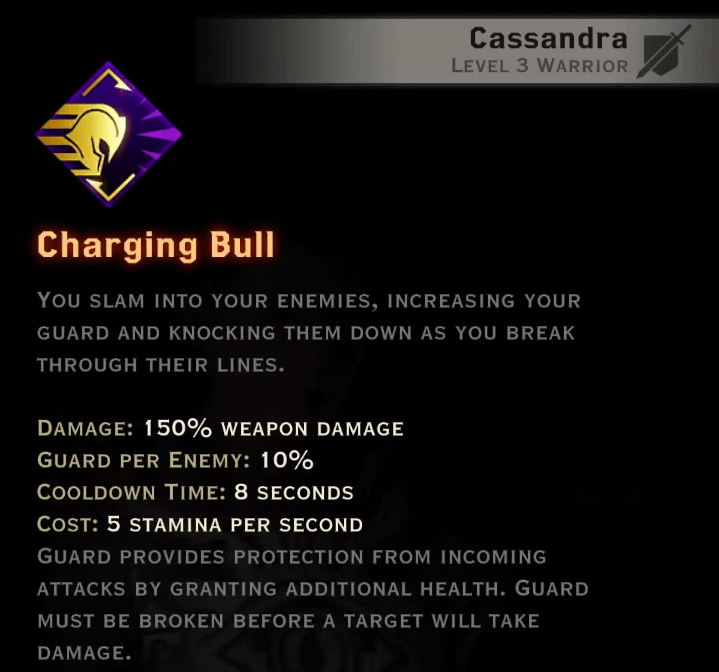 Some skills like Chain Lightning are essentially unchanged from the previous DA games, but there are also a lot of cool new skills like Stormbringer and Static Charge. 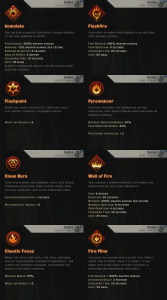 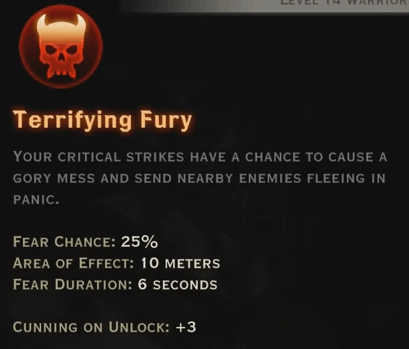 Inferno spells are fire-based abilities that deal high damage and also include several skills that cause enemies to panic. 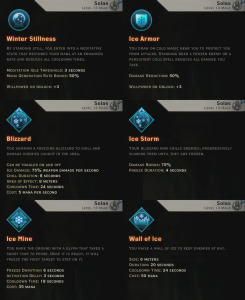 The Winter tree uses frost abilities to slow and freeze enemies. 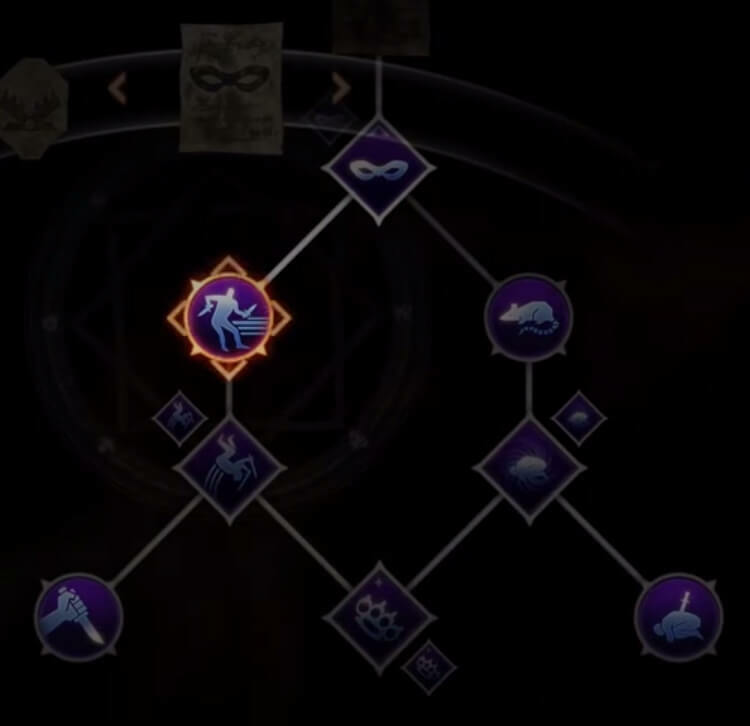 The spirit tree is a defensive tree that uses spiritual power to protect yourself and aid your allies. 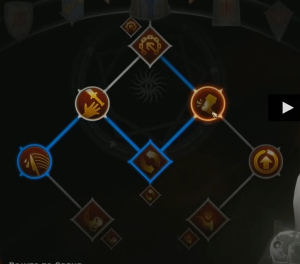 The only mage specialization tree we’ve had a glimpse of so far is for the Knight-Enchanter specialization. This spec allows the mage to fight in melee similar to a warrior. 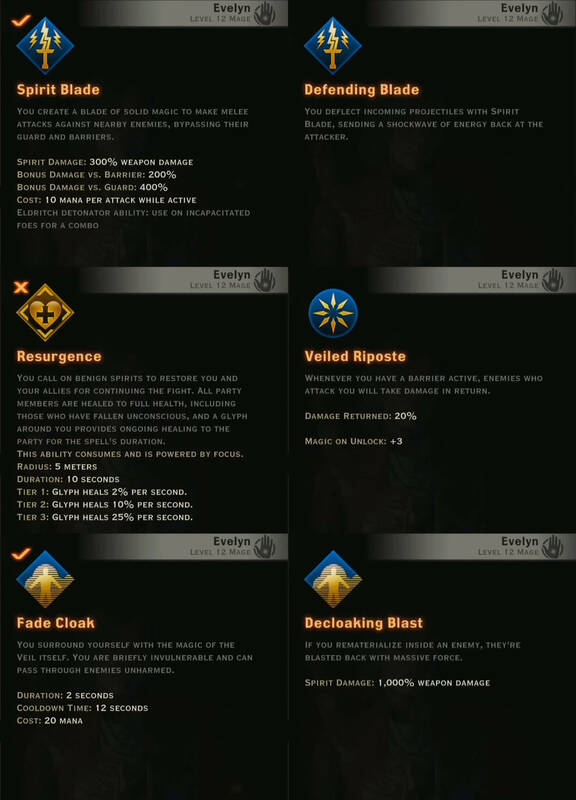 The Decloaking Blast ability sounds particularly cool, allowing you to re-materialize inside of enemies after using the Fade Cloak ability, which causes massive damage. 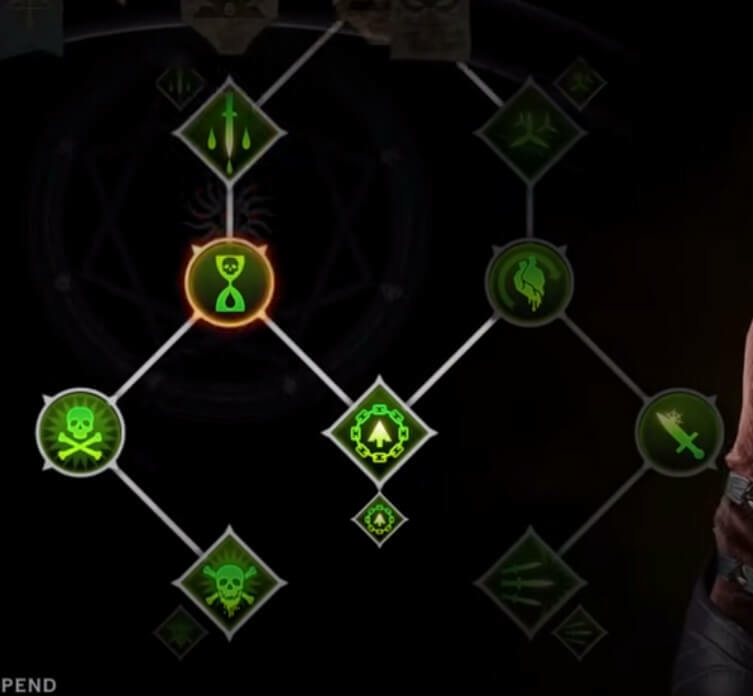 The four rogue skill trees are Subterfuge, Sabotage, Archery, and Double Daggers. 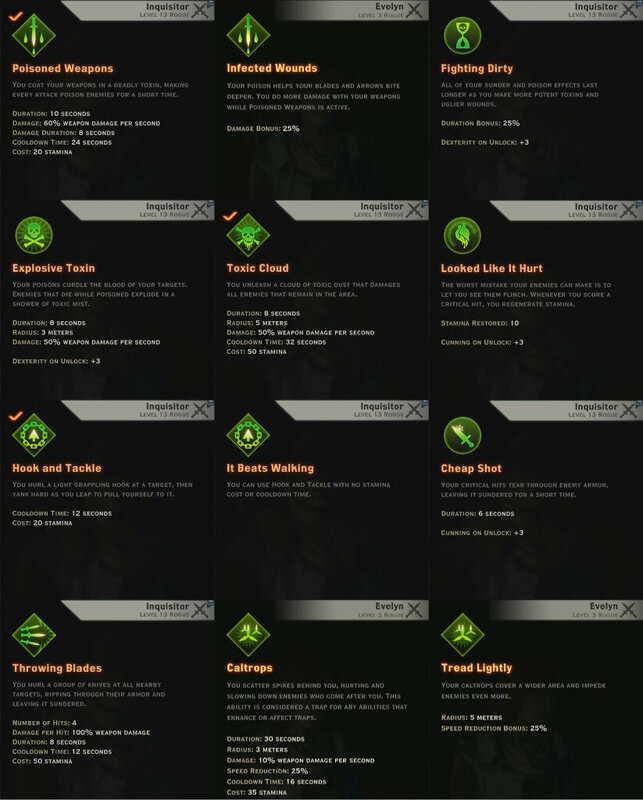 Subterfuge skills focus on evading attacks and using stealth. 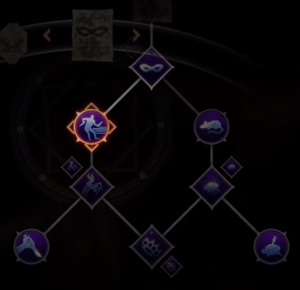 The Sabotage tree uses poison and other ways to swing the balance of the battle your way. 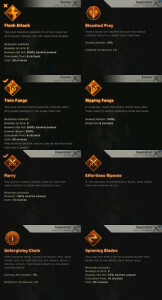 Archery and Double Daggers are pretty self-explanatory, allowing you to master either ranged weapons or daggers. 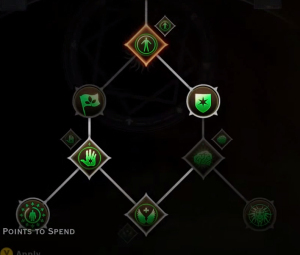 The only revealed spec tree for rogues is for the Artificer specialization. Artificers specialize in using traps. 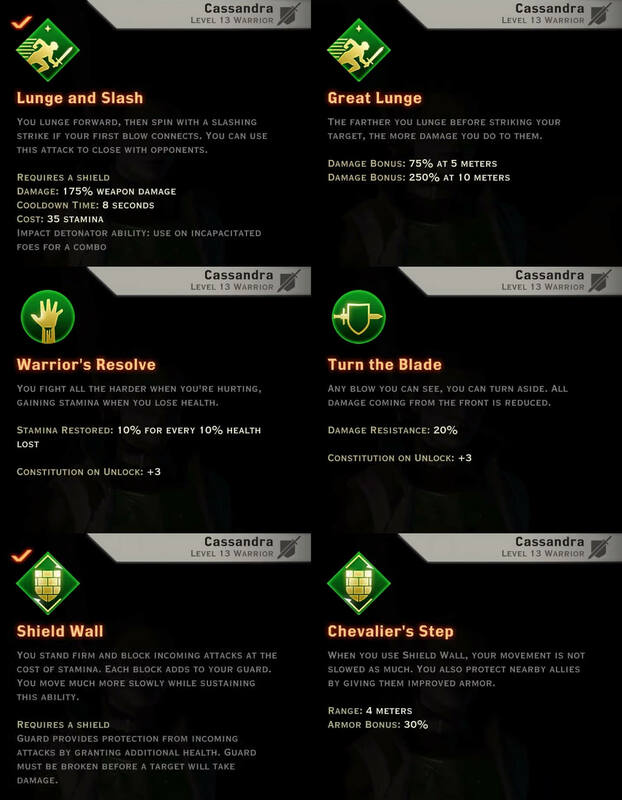 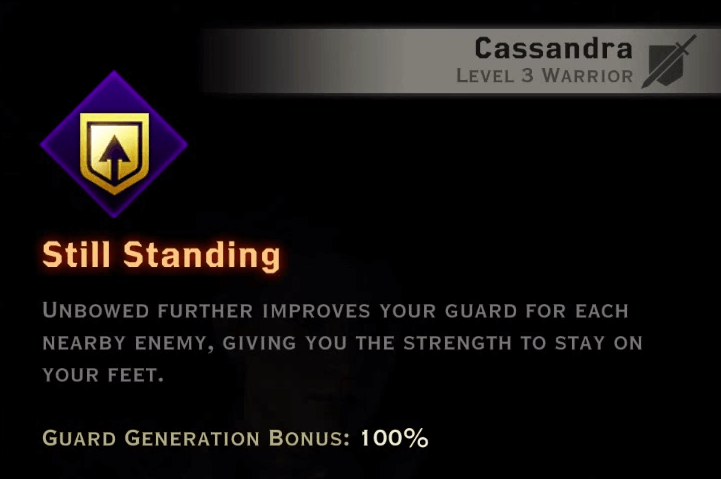 The four main warrior skill trees are Vanguard / Two-Handed / Weapons & Shield / Battlemaster. 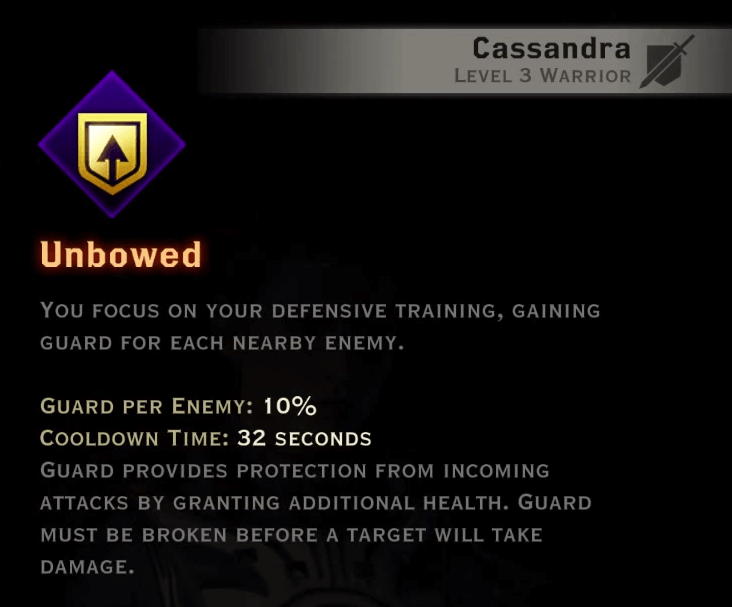 Two-handed and weapon and shield are self-explanatory, while Battlemaster skills give you control over combat with increased mobility and various bonuses. Vanguard skills focus on directing the enemy onto the warrior instead of his allies. 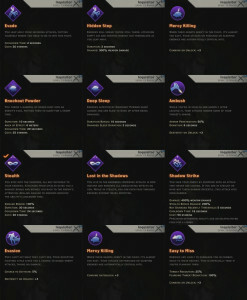 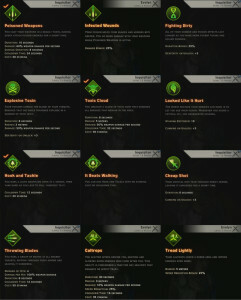 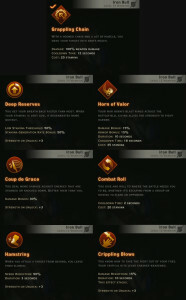 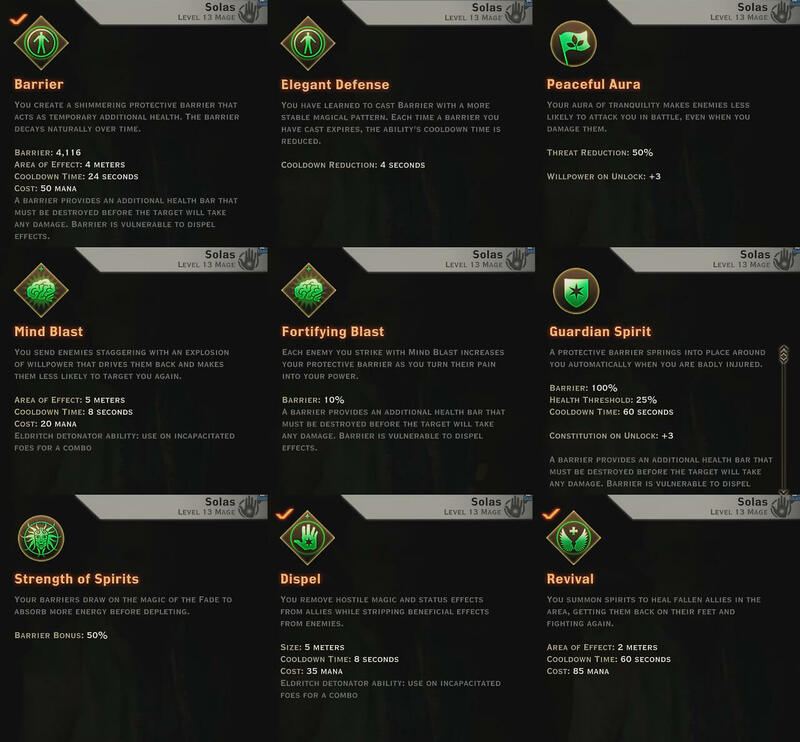 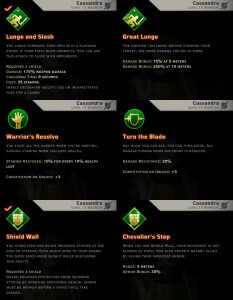 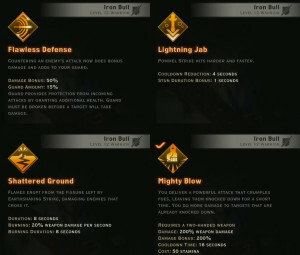 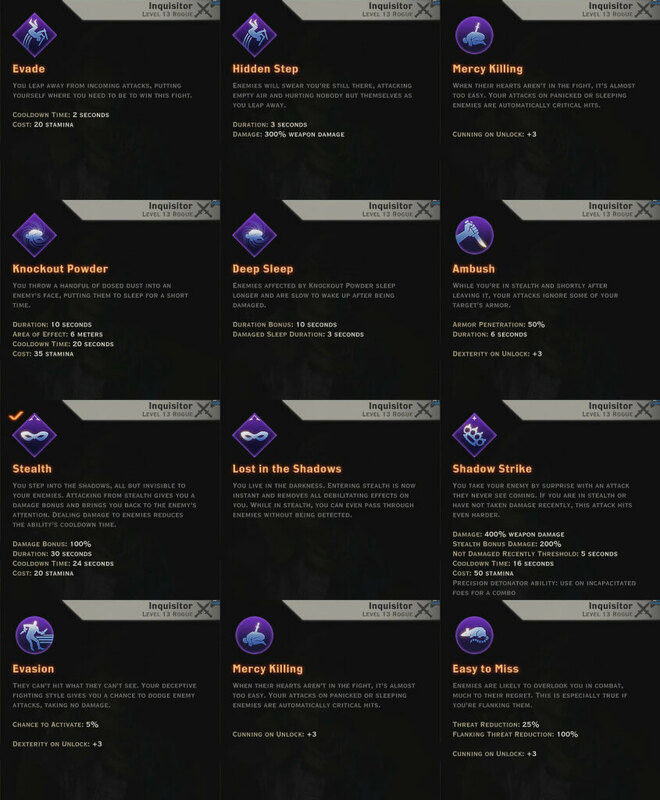 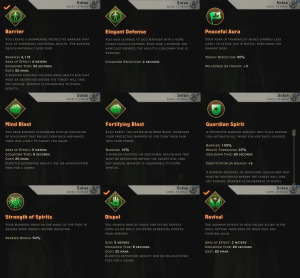 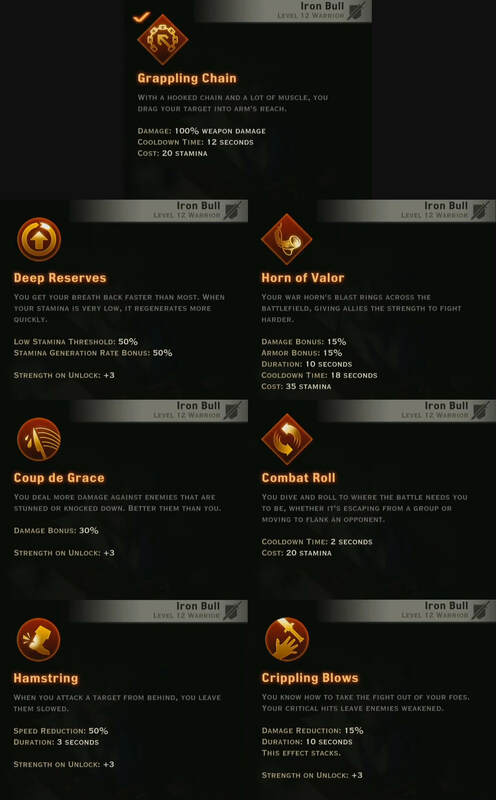 Here is a more detailed look at some of the skills from the Vanguard tree. 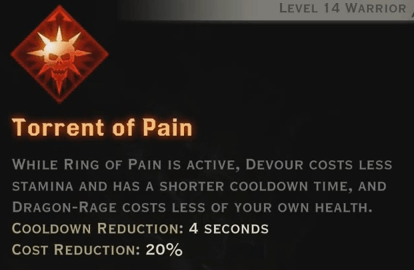 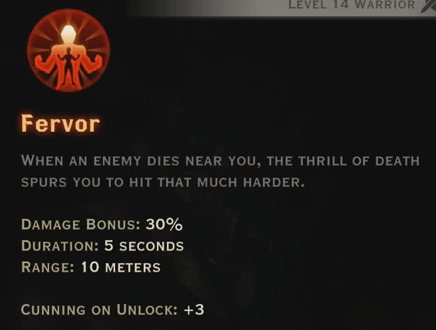 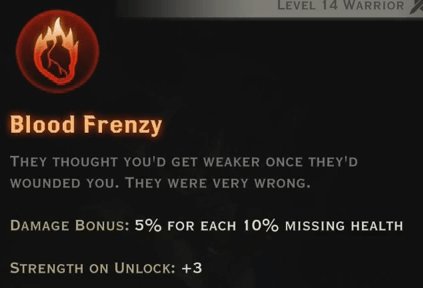 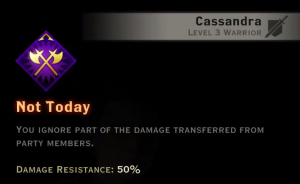 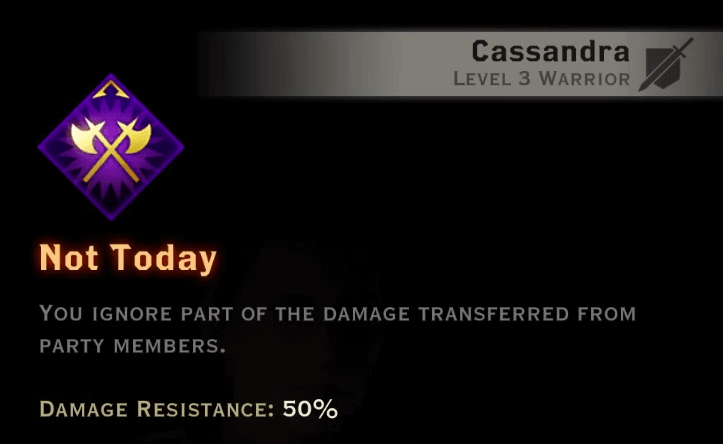 The Reaver specialization is all about increasing your damage at the cost of losing health. 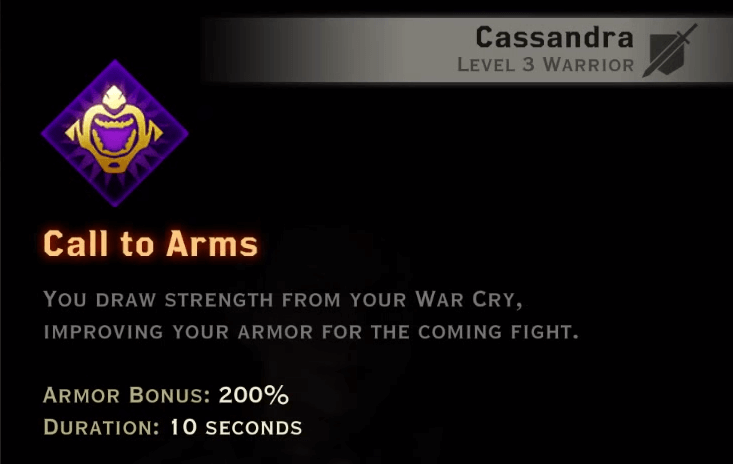 Templars are defensive warriors who aim to support and protect their party, and are adept at fighting demons and mages.